Kindergarten Writing Prompt - My Pet Painted a Picture! What would you do if your pet could paint? 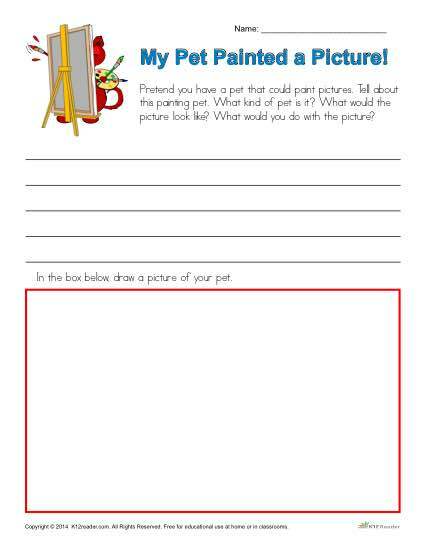 Print out this free paper and find out what kind of pet your student has and what they think it would paint! A place for them to draw a picture is also provided! This writing prompt is great for kindergarten, 1st grade or other grades as appropriate.